Last weekend I was on a short trip to East Sussex, between London and Brighton for a painting class. You know how they say that the images that your mom saw when you were in uterus can create memories in the baby as well? Well, I felt some kind of connection. 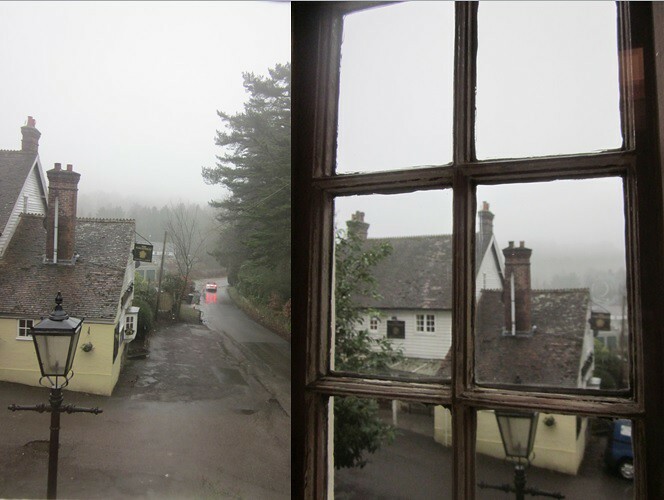 I feel really at home in the UK, even with the misty, wet and gray tendencies of the weather. And I can't help thinking that it is the very kind of landscape to which my mom was exposed to during her pregnancy. 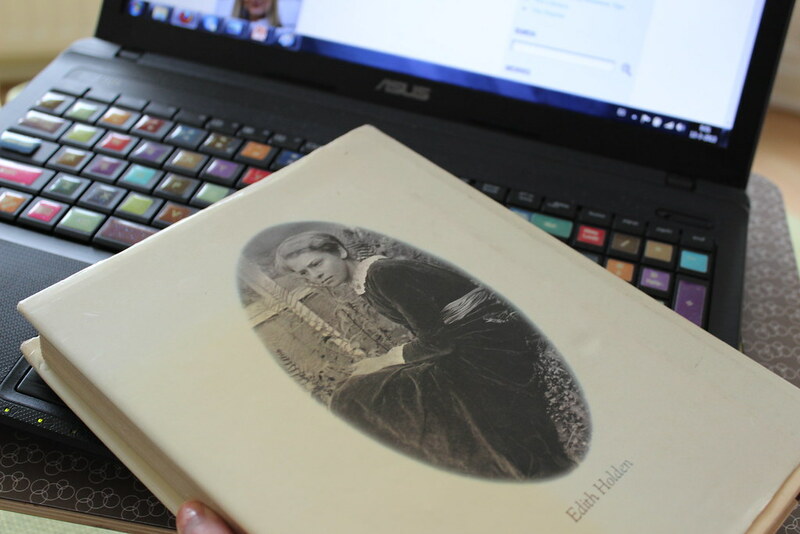 I also have to show you the newest addition to our bookshelf: "The country diary of an Edwardian Lady", by Edith Holden. You see, I have a soft spot for biographies and memoirs. But when they are an actual facsimile of a handwritten journal, which include poems, snippets of walks, personal thoughts and lovely and scientifically accurate drawings of nature (complete with latin names), I melt. Edith Holden was born at Kings Norton, Worcester in 1871, one of seven children of a Midlands paint manufacturer (no wonder she was attracted to art then). The family lived in the small village of Olton in Warwickshire where she wrote and illustrated the journal. She recorded in words and paintings the flora and fauna of the British Countryside through the changing seasons of the year. She details observations on the wildlife she saw surrounding Warwickshire and on her travels through England and Scotland. 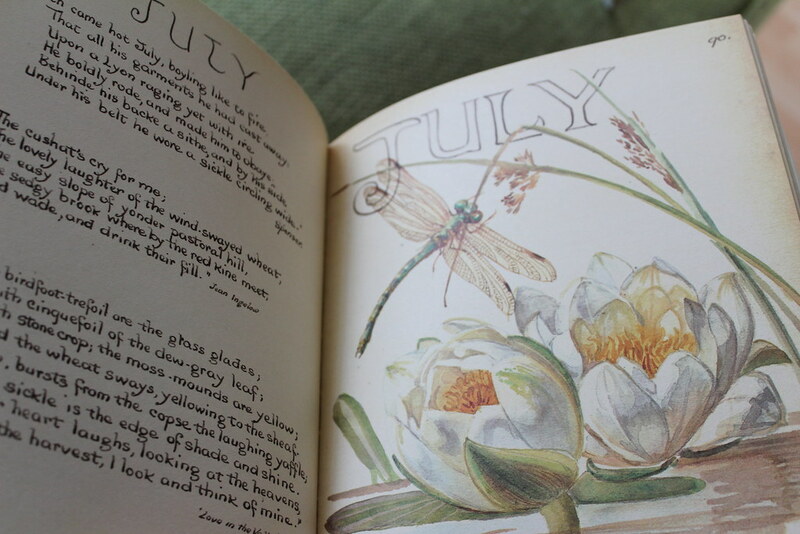 Her journal is a testament to her deep love of nature and were executed with a naturalist's eye for detail (which would make her an early biologist of sorts) and the sensitivity of an artist. Have you ever been at a place to which you feel strongly connected to, without having been there before? I love that my room had a painting of a bunch of Poppies. This seems like a lovely outing. The British countryside can be so charming! Did you enjoy the painting class? Your room looks adorable. 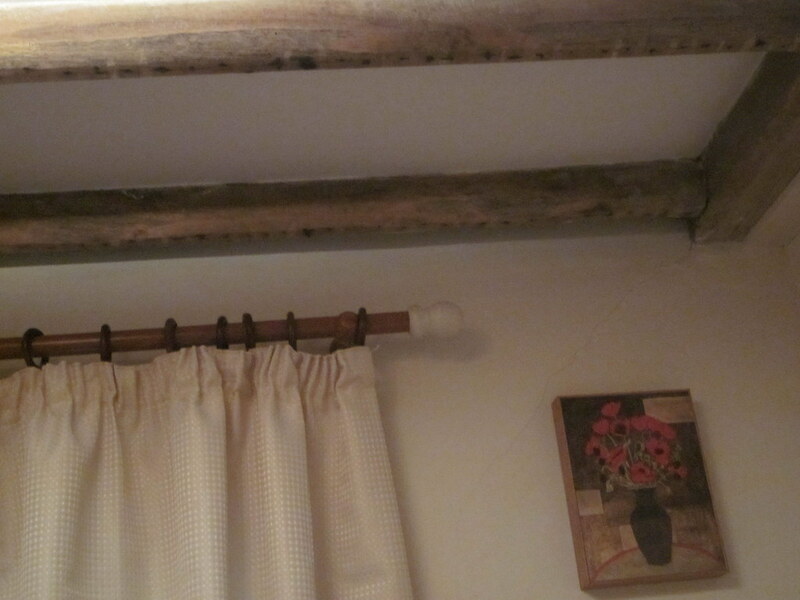 Did you stay in a bed and breakfast, or did you sleep at someone's home? The painting class was great, I loved it! 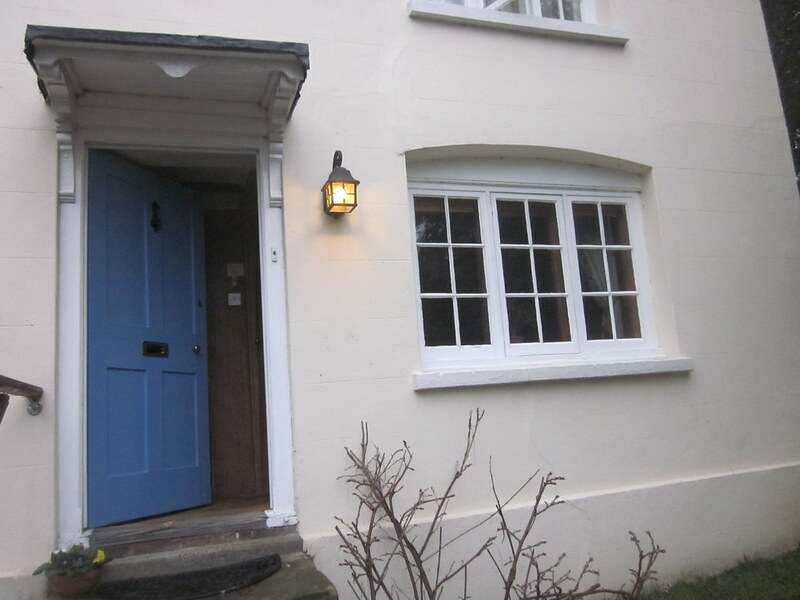 I stayed at a Bed and Breakfast (Hill Cottage, it was called, the owners, a couple were lovely, they made the most delicious breakfast and were very kind and nice). :) The book is just so pretty! That looks like a beautiful getaway. I'm really craving the British countryside at the moment. What was your painting class like? It was real nice. The painting class was lots of fun, it was mostly watercolor, learning the technique, and focusing on finding your "hand" , your "style". Very inspiring. Ah, Edith Holden! My mother has always been a keen botanist (if not by profession, then by way of a passion), and is a great admirer of her work, so I remember often pouring over the pages of the Country Diary as a child :) She was not so different a character to Beatrix Potter, though Potter of course took her work in a more whimsical direction. What I also like about these two women is that they took the study of natural sciences very seriously at a time when it was still considered unorthodox for polite middle class ladies like themselves to do so. It's an interesting question, of feeling 'at home' in a place before ever having spent considerable time there. Actually, I'm always envious of people who get this sensation, because I guess I've always found myself to be more of a drifter, having lived in and enjoyed *lots* of places, but without roots in any one in particular. I would probably say though, that India was a country I have felt a great affinity with as soon as I set foot there. Something about the people, the way of thinking, the colour, the noise, that really made me feel alive. How lucky that you knew this book as a child, it is completely new to me. 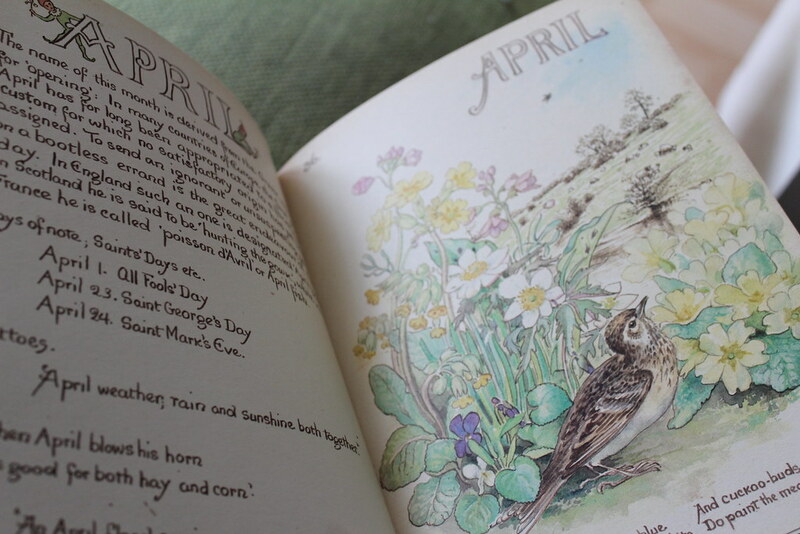 Beatrix Potter's illustrations and stories are also beautiful (those I did know). It also struck me how the drawings were scientifically accurate, how, like you say, you can tell they studied nature, to some extent, even when at the time women were not really allowed to do so, or it was not accepted. I have had that feeling with Barcelona more strongly, and with the UK. But other than that I understand you, that feeling of being able to feel at home pretty much anywhere, to adapt and to enjoy. About the roots, there is a song that goes: "no soy de aqui, ni soy de alla" (I'm not from here, and not from there), and that is how you start feeling after living in different countries and taking a bit of each with you. I've also been jealous at moments of people who have everything: friends, parents, grandparents, new family, all in one place, at some point I had a crisis of feeling I did not belong anywhere.... until I discovered I could be part of everywhere. But that feeling you describe with India, is what I wasw talking about, feeling alive and free, and just, in sync. I think you will feel it :) It's funny how this just happens. I feel that way about Greece, their, food, culture, climate, landscapes... though I have only been there once, at a very small beach-side town for a summer (I did not see any of the sights, anything, but it was still lovely). I love that you have the ability to travel to another country for something like a painting class - the benefit of living in Europe! :) How was the class? You seem to be taking on all kinds of adventures this year - first, salsa, now painting. How exciting! The illustrations in that book look simply amazing. I love botanical illustrations. My mother-in-law is an artist, and botanical illustration is her specialty. I really love her work. 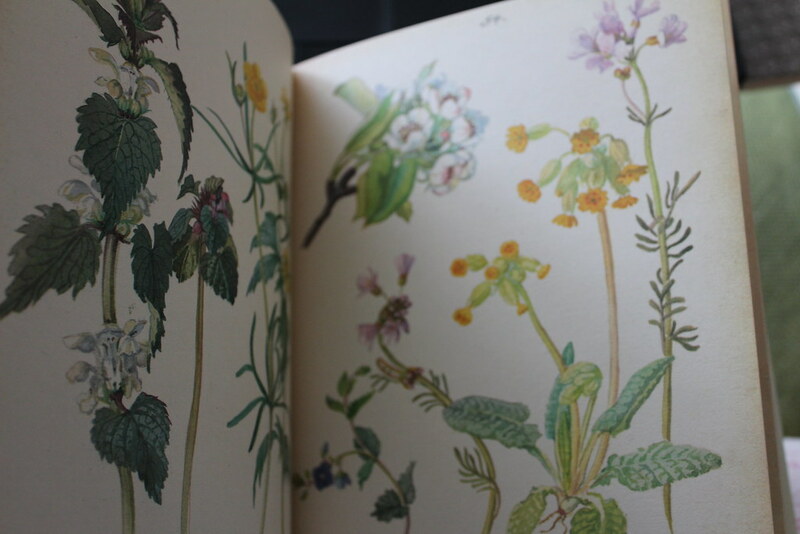 Botanical illustrations are so so pretty :) How lucky that your mom-in-law is an artist... maybe she can teach you! A trip to the countryside for a painting class? I need to move to Europe, apparently. ;) Are we going to see anything you've created? Yeah :) Very very soon !!! And yes, move to Europe :) ! there is something so magical about England to me. That is where I met the husband, it all started as an exchange students romance that was supposed to be over once we went home, and yet here we are, still together and making each other smile every day. I know is sounds cheesy but I will always be thankful to England cause I spent some of the happiest months in my life there and and also made friends for life (plus, Matt!). When I have been back there for visiting, I still felt that same connection, like being at home. The thing I do worry about is that at some point I will -have- to call Canada my home and I fear that it will be something permanent, unlike our Aussie adventure, and that I will never feel 100% Canadian but I will also stop feeling 100% Mexican with time, unable to completely identify with just one place. weird. There really is something magic about England. And of course, your story makes it so much more special. And well, I think I've told you before, after living abroad for a while you do get that feeling of "No soy de aquí, ni soy de allá". What you say about Canada is more or less how I felt when I moved to The Netherlands because regardless of the fact that I had been out of Mexico for about 10 years already, this move felt permanent (before that, in my mind, I was only taking it 1 year at a time, with the prospect of coming back always as a possibility, as I was studying). But, I have never, not for 1 second stopped feeling Mexican. You do change, but it is an enriching change, it's more like you adopt little bits of here and there, you grow, you adapt, you evolve. You identify with more places. (Though I have been jealous of people who have lived and grown in 1 place, who have their everything (friends, family, partner, school, stories, memories) all in one place). Overall I think it is the place that you grew up (those early and teenage years) that makes the more lasting impressions, that defines you. I really do love being able to travel, it's one of the biggest perks of Europe! As you've seen I will be painting on cakes :) (Though the sketches/ proposals will be done on paper). I am quite happy to be able to pursue this. 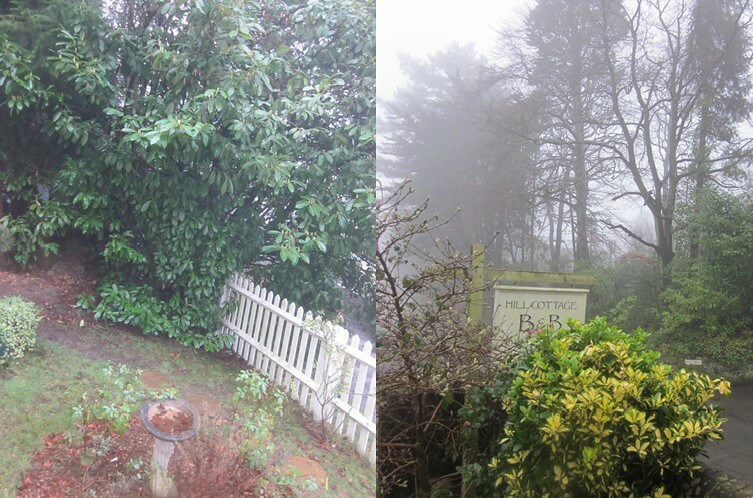 Well your pictures of misty damp England managed to make me a little homesick! We go back for Easter to my parents and then I stay for an extra week to visit my sister (in Warwickshire!) which I'm so looking forward to. That book looks beautiful - has it inspired you to start keeping a journal illustrated with your anatomically-correct watercolours?! I wish I was better at art, it's something I would love to be able to do. Oh Easter is just around the corner, and holidays with family are always very special,more so at places that are full of childhood memories.